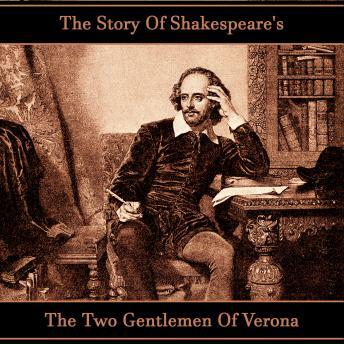 Two Gentlemen of Verona is believed to be one of Shakespeare's early comedies and as a result provides us with the first examples of a number of themes and devices that are further explored in many of his plays. These include loyalty, friendship and the nature of love. Also women dressing up as men is introduced by one of the central characters, Julia, dressing up as the page, Sebastian, to serve her loved one, Proteus, who has betrayed her. Although fewer characters than most of Shakespeare's other plays, they are interesting ones and Ghizela Rowe in her reading, captures the story of this intriguing play with clarity.